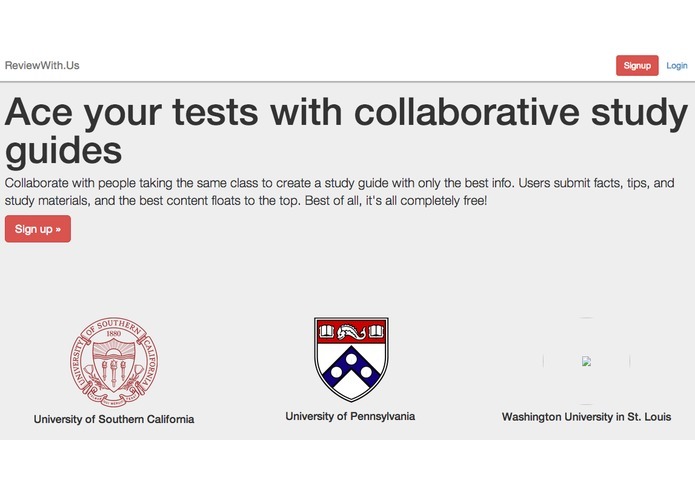 Collaborate with people taking the same class to create a study guide with only the best info. Users submit facts, tips, and study materials, and the best content floats to the top. We're four students, three from USC in LA, and one from WashU in St. Louis. Thanks!